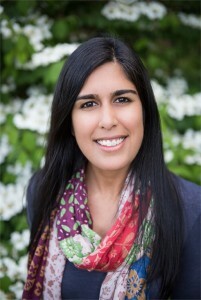 Sujata is a recent addition to Hello, signing on last spring and jumping into the Hello There model as a part-time school psychologist this fall. Working part-time, on the unique Hello There schedule, Sujata runs her own business (in addition to school psychology) and pursues interests that both complement and balance her role as school psychologist. This fall she and a special education teacher colleague gave a presentation at the Alberta Abbey on Back-to-School & Family Wellness. They discussed tools including essential oils, YogaCalm, SchoolMoves, and positive self-talk. This event was open to the community, and their whole presentation is now available as a recorded webinar on YouTube! What a great way to combine interests and give to the community outside of the school setting. Thank you, Sujata, for putting our core value of Give into action this fall! Congratulations on being our October 2015 THF Clinician of the Month!